The Bakken is a formation of shale source rock covering about 200,000 square miles of North Dakota, Montana and Saskatchewan. It is currently the largest known reserve of light sweet crude in North America. Oil was first discovered here in 1951, but due to technical limitations, it has only been until fairly recently that any significant amount of oil has been recovered. The Bakken is also responsible for tremendous job growth, a not-insignificant factor in today’s tough economy. In fact, North Dakota’s unemployment rate is currently the lowest in the nation, and demand for workers of all types shows no signs of letting up any time soon. General Overview of Oilfield Positions Opportunities continue in North Dakota’s energy industry. The oilfield is seeking experienced workers to meet the ever-growing demand. Positions are available in both exploration and production. Take a look at the North Dakota Oilfield Employment guide for oilfield-related information and resources. The Eagle Ford Shale (EFS) is located in South Texas and the formation produces from various depths between 4,000 and 14,000 feet. 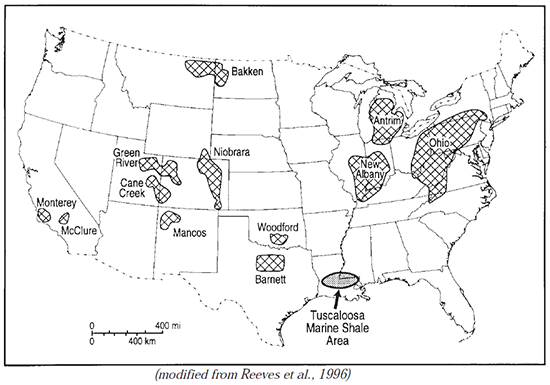 The EFS takes its name from the town of Eagle Ford Texas where the shale outcrops at the surface in clay form. (Often, the Eagle Ford is mistakenly spelled as Eagleford.) The Eagle Ford is a booming shale play, results indicate there will be development activity for a long time to come. Visit the Eagle Ford Shale Drilling and Rig Count page to keep up oil & gas activity across South Texas. The EFS also benefits from high liquids yields across much of the play. Higher oil prices have helped spur development as oil, condensate, and NGLs (ethane, propane, and butane) all command better prices than natural gas. Eagle Ford Shale jobs are available now – the job board below lists job opportunities in the booming South Texas job market. You’ll find a wide variety of oil field jobs here. Open jobs include oilfield careers for engineers, a professional landman, truck drivers, and management positions – just to name a few of the latest job listings. The Marcellus Shale formation can be found beneath about 60 percent of Pennsylvania’s total land mass, where it is buried to depths of up to 9,000 feet. The production of natural gas from the Marcellus Shale formation is important because it produces a clean-burning, Pennsylvania-based energy source in an environmentally sound manner. It also provides economic benefits to communities across the Commonwealth. Natural gas producers already invested more than $4 billion in Pennsylvania in lease and land acquisition, new well drilling, infrastructure development and community partnerships, with an even greater investment expected in the future. Marcellus gas wells can be drilled using 21st century vertical or horizontal technologies. Vertical wells are sometimes first drilled in an area to obtain information valuable for planning the drilling of more costly and technically demanding horizontal wells. Marcellus Shale natural gas wells in Pennsylvania are drilled horizontally because it offers access to a larger quantity of natural gas, while disturbing a smaller area on the surface. Both vertical and horizontal Marcellus Shale wells produce marketable quantities of natural gas. You can locate the job postings and submit your resume directly to each employer. Change ‘Keywords’ and ‘Location’ as desired. Search Rigzone for hundreds of jobs in various categories and locations. 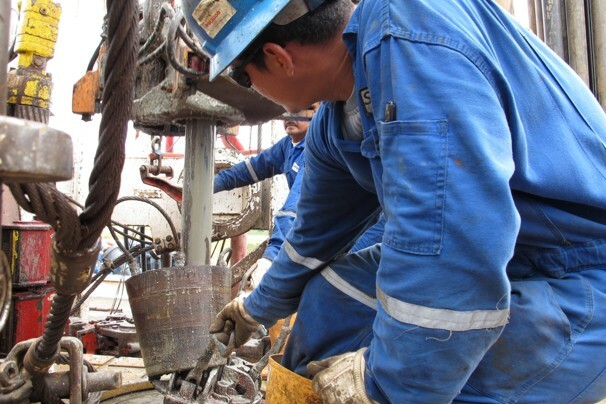 o Roughnecks work on the rig floor in teams of three and are responsible for operating the drilling equipment and machines in support of the driller. 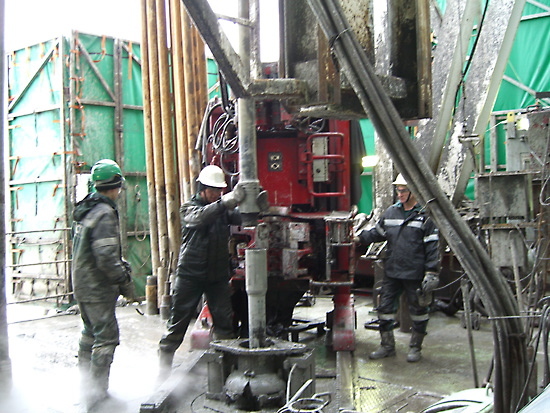 One member of the roughneck team typically works in the mud process room taking mud weights and ensuring that the shakers are working properly. 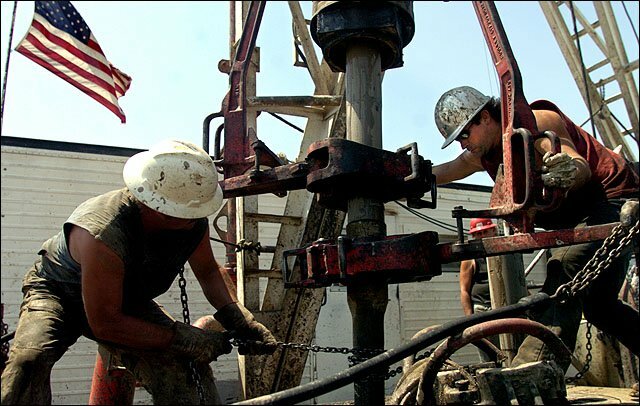 According to Rigworker.com, the average annual salary for a roughneck is $59,000. Oil Rig Job International reports that many roughnecks start out at salaries between $43,000 and $47,000 per year. Other perks include free airfare, meals and room and board, as well as medical insurance. o The pumpman position is a drilling job that supports the derrickman. Pumpmen work in the mud pump room; their main responsibilities include checking the mud room weights and shaker equipment. They work as backup roughnecks when needed, as well. According to Rigworker.com, the average annual salary for this position is $60,500. o The derrickman on an oil rig is typically responsible for operating and maintaining all the equipment in the mud pump room. This equipment includes the mud pumps and mud holding pits, as well as the other machines in that area. Another main job duty is to climb the drilling tower to rack the drill pipe. Other responsibilities include mixing drilling fluids and mud to ensure the chemicals and consistency are correct. The average annual salary for this position is $65,000, according to Rigworker.com. o Assistant drillers are in charge of supervising the pumpman, derrickman and all the roughnecks. They also provide assistance to the driller, as well as take on any other miscellaneous tasks as needed. Assistant drillers are expected to fill in for any of the other drilling positions when necessary. According to Rigworker.com, the average annual salary for this position is $72,500 per year. However, Oil Rig Jobs International lists the average annual salary at $54,000 for this position. o The oil rig driller has the most responsibility out of all the drilling crew. He's in charge of everything that occurs on and above the rig floor, as well as the person who operates the drill that makes the hole in the earth. The average annual salary for this position is $86,000, according to Rigworker.com. Change ‘what’ and ‘where’ fields to find jobs. • Mud Engineer Jobs – HubPages.com If you would like to find out about specific opportunities in the drilling industry, click on this blue text link that highlights mud engineer jobs. Although it may require bit of training, having a job as a mud engineer comes with a variety of special work bonuses. Time off, health insurance, and excellent pay rates make this one of the best careers found out in the field. Apache Corporation Apache was formed in 1954 and has become a key player in the U.S. drilling industry. Now, they are listed as one of the largest independent drilling companies and are currently expanding their operations all around the world. For a listing of jobs that Apache has in the U.S., click on this link and go to http://www.apachecorp.com/Careers/United_States/index.aspx. Their Houston, Texas headquarters can also be contacted by dialing (713) 296-6000. CanElson Drilling CanElson has shown significant growth since its creation in 2008. In fact, in the last 4 years alone, it has become one of Canada’s premier drilling contractors. And with operations expanding deep into the U.S., CanElson is successfully increasing their international presence. To view a list of their current job openings, follow the link provided here; http://www.talentseeker.com/apply/canelson/browse.jsp. Their Alberta office can also be reached by dialing (403) 266-3922. Cyclone Drilling Cyclone Drilling has been in operation for well over 30 years. To fulfill their reputation as one of the safest drilling companies in the industry, Cyclone hires only the best people to work in the field. To view the list of jobs they currently have available check their website at http://www.cyclonedrilling.com/careers-at-cyclone.php. Or you can call their representatives at (307)-682-4161 for more specific information not found online. Delta Seaboard Well Service Delta Seaboard operates in Texas, Mississippi, and Louisiana. As a family owned company with 50 years of experience, they offer some of the best customer service currently available. They can be contacted through their website at http://www.deltaseaboard.com/about.aspx or reached at their Houston office at (713) 782-1468. If you really want to work with the best, get in touch with their customer representatives today. Devon Corporation Devon is an independent oil and gas production company that operates in the United States and Canada. They are listed prominently on the Fortune 500 and produce over 3 percent of the natural gas consumed in North America. For five years in a row, Fortune has ranked the Devon Corporation as one of the “100 Best Companies To Work For.” To find more information about Devon’s career opportunities, call them at (405) 235-3611 or check their website at http://www.dvn.com/AboutDevon/Pages/about_devon.aspx. Diamond Offshore Diamond Offshore is composed of the following three companies; Zapata Petroleum, Ocean Drilling & Exploration, and Diamond M. Drilling. In early 2012 their rig count climbed to 49 and they took significant steps toward acquiring more rigs in the near future. Diamond is now looking for qualified candidates for jobs ranging from Hydraulic Mechanic to entry-level Derrickman. To look for other open positions and apply for a job, go to http://www.diamondoffshore.com/employment/employment_opportunities.php or call their Houston office at (800) 848-1980. Ensign Energy Services Ensign Energy is a key supplier of oilfield services in North America. They have been adding to their fleet of rigs since 1987 in order to better serve customers in the industry. With their extensive resources, Ensign plays a major role in the production of many large oil and gas plays. To apply for a job with Ensign, start by completing the form on their website which can be found by clicking on this link here; http://www.ensignenergy.com/careers/Pages/Working-at-Ensign.aspx. Fox Oil Drilling Company Fox Oil is a well respected drilling company that serves many of the world’s major production areas. Over their last 40 years of operation, Fox has drilled approximately 9 million feet of new hole. They focus on hiring experienced and qualified personnel for positions ranging from Rig Hand to Drilling Consultant. If you think you have what it takes to get a job with Fox Oil, go to the career center section of their website at http://www.foxoildrilling.com/jobs-offered.html. 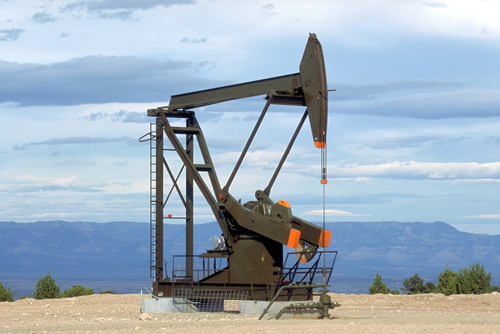 Frontier Drilling Frontier was formed in 2005 as a private drilling contractor in Colorado. They have made a name for themselves both in safety and performance throughout much of the American Rocky Mountains. You can apply for a job with Frontier Drilling by visiting their website with the link provided here; http://frontierdrilling.net/the-company. You can also reach them at their Utah offices by dialing (435) 722-3133 for more detailed information. Helmerich & Payne Helmerich & Payne operates a large fleet of rigs, many of which are in the Gulf of Mexico. They specialize in providing their clients with cost-saving services through their use of new and evolving technology. Their vast operation requires a variety of employees ranging from Derrickmen to Rig Electricians. Their careers webpage can be visited at http://www.hpinc.com/emp.html and their Human Resources department can be called at (918) 742-5531. Major Drilling Group International Major Drilling Group International was recently named as one of the world’s largest drilling service companies. When compared to their competitors, Major’s long term client relationships are what set them above other companies in the industry. To check out their list of job opportunities, go to their website at http://www.majordrilling.com/Employees/Pages/CareerOpportunities.aspx or call their corporate office in Canada at (866) 264-3986. 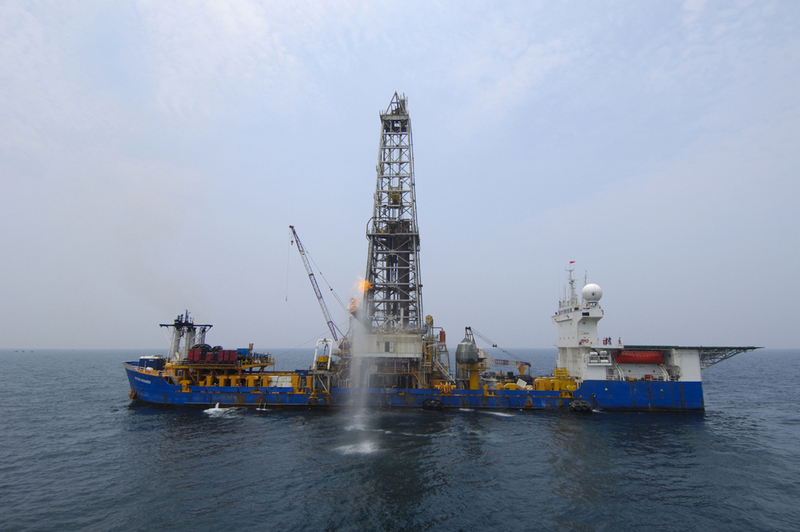 Marathon Drilling Marathon Drilling has supplied clients with outstanding customer service since 1981. They have a reputation as a leading provider of drilling services in the highly competitive North American energy sector. They are specifically looking for new employees who have both the talent and ambition to join them in the field. Learn more about Marathon Drilling by calling them at (613) 821-4800 or visit their website at http://www.marathondrilling.com/about-us/careers/ for more information. Nabors Industries Nabors was started in 1987 and is now one of the world’s largest providers of drilling services. They drill for oil, natural gas, and even geothermal, serving both large and small operations in the industry. With over 28,000 employees working at 300 facilities, Nabors often has job openings for new hires. Find out about their careers at http://www.nabors.com/Public/Index.asp?Page_ID=6 or call their Houston office at (281) 874-0035 for more information. Nomac Drilling Nomac Drilling began in Northwestern Oklahoma and has been in operation since 2001. They are now the fourth most active drilling contractor in the United States with 110 rigs drilling in 8 states. For those interested in becoming a Roughneck for Nomac, they offer a week-long training program in El Reno which is located in Oklahoma. To check out all of the careers that they currently have available, go to their careers page at http://www.nomacdrilling.com/Pages/careers.html or give them a call at (405) 422-2754. Parker Drilling Parker has been active in the drilling industry since it was created in 1934. Since they are one of the most experienced companies in the field, they offer proven leadership that has stood the test of time. Their operations cover Texas, Louisiana, and Alaska, as well as several other countries spread all around the world. For careers with Parker Drilling, check out http://www.parkerdrilling.com/careers.aspx or call their Houston office at (281) 406-2000. Patterson-UTI Energy Patterson-UTI provides first-rate drilling services for production companies across North America. Their drilling division has over 330 onshore rigs currently operating in 14 different states. To apply for a position with Patterson-UTI’s fast growing team, go to their website at http://patenergy.com/careers or call their corporate office at (281) 765-7100. Opportunities in the industry are better than ever before so get your start in the field today. Pioneer Drilling Pioneer Drilling was established in 1968 and they now have over 60 rigs operating in the field. With their headquarters based in San Antonio, Texas, they serve some of the most active drilling regions in the U.S. Since they strive to stay on the cutting-edge of technology, they can provide clients with the most advanced drilling services available. To find out more about careers with Pioneer, call them at (210) 828-7689 or check their website here; http://www.pioneerdrlg.com/company_overview.aspx. Precision Drilling Precision is the largest drilling company in Canada with active operations in the United States. They got their start in the early 1950’s and have grown through a series of key acquisitions. In addition to their extensive industry knowledge, Precision offers employees the best advancement opportunities around. More can be found about careers with Precision Drilling at http://www.precisiondrilling.com/Careers/CareersWhyWork.cfm or by calling their corporate offices at (403) 716-4500. SST Energy Corporation SST Energy is a top quality company that operates in Utah, Colorado, and Wyoming. Since they are mainly focused on one specific region, their services are customized to meet each client’s needs. Visit their website at http://www.sstenergy.com/careers.htm to view the career openings that they currently have available. SST often hires for a wide variety of jobs ranging from Marketing to Drilling Rig Hands. They can also be contacted by calling their Casper, Wyoming headquarters at (307) 235-3529. Trinidad Drilling Trinidad was started in 1996 as a small Canadian drilling company. Since then, they have grown into one of the most competitive drilling operations currently contracting throughout North America. Trinidad has posted 43% fewer workplace incidents than its competitors out in the industry. They also offer a full range of benefits at sign up and tuition assistance for advanced industry training. To explore opportunities with Trinidad Drilling, check out their website at http://www.trinidaddrilling.com/Careers/Opportunities.aspx or call their headquarters by dialing (403) 265-6525. Drilling Companies Please take some time and read another listing that I published by clicking on this last link for drilling fluids companies. There you will find that many jobs have become available as the sector continues to surge ahead with high rates of employment. As industry demand continues to grow, Mud Engineer Salaries are reaching new highs. In fact, according to Indeed statistics, Mud Engineers can make well over $75,000 per year working in America's fast paced drilling industry. To learn more about what a Mud Engineer does and how to become one, continue below. Job Description When ranking oil rig jobs, Mud Engineers top the list. Thanks to high pay rates and excellent work conditions, they truly have one of the most satisfying jobs in the field. So, what exactly is "Mud" and what do Mud Engineers typically do? Mud is simply another name for the drilling fluid used at drilling rigs. As oil and gas wells are drilled, special types of Mud are pumped down into the borehole to maintain stability, cool the drill bit, and clear rock cuttings. In order to work effectively, Mud has a number of different properties that need to be managed by trained specialists called Mud Engineers. Having earned their title, Mud Engineers condition the Mud so that it meets certain field requirements. To do this, they perform a series of Mud Tests using equipment that most anyone can operate with proper training. After recording their test results, Mud Engineers write out instructions for the rig's crew so that they can then get started making key Mud treatments. If needed, a Mud Engineer can stay onsite to advise the rig's crew and supervise treatment methods. Aside from managing Mud properties, Mud Engineers are also responsible for creating Mud reports, ordering treatment products, and maintaining field relationships. The fact that they have a variety of tasks out on the rig may be yet another reason why Mud Engineers are known to experience high levels of overall job satisfaction. Working Conditions So, what is it like to be a Mud Engineer? To answer this, we will start by looking at their top 3 job benefits. The first and most basic benefit of being a Mud Engineer is that the job is free from manual labor. 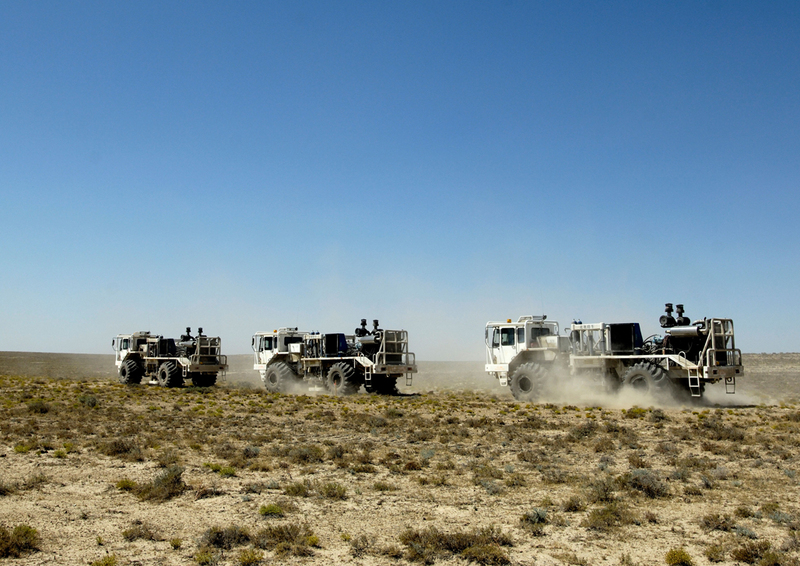 Apart from handling small test equipment, Mud Engineers have no reason to participate in physical tasks out at the rig. On top of this we find our second benefit; the minimal amount of paperwork. Although Mud reports do need to be filled out, most of the job really focuses on checking the Mud to make sure that it's right. And finally, to finish off our top benefits, is the fact that Mud Engineers get to escape from dull office lifestyles. Being outdoors on an oil rig is exciting, especially when keeping company with lively roughnecks. Job Requirements To get a job as a Mud Engineer you must start by getting trained at a Mud School. Since only a few Mud Schools exist, current training options are clearly limited. Because of this, many new Mud Engineers have chosen to go through month-long courses like Ace Mud School. If you would like to take your first step toward an exciting career as a Mud Engineer, click on this link and visit www.acemudschool.com for more information. Oil and Gas Developments According to Geological Survey statistics, the United States' current reserves of oil and gas are increasing rapidly. Why? In part, it's because new assessments of national reserves are starting to account for advances in technology. As technologies like frac and injection improve our ability to recover oil and gas, the total amount in reserve has spiked. But this is not the only factor that has increased our reserves. New oil and gas finds have also been adding to our totals. For a description of these new finds, continue below. California's San Joaquin Basin Spanning from Modesto in the north to Bakersfield in the south, Central California's San Joaquin Basin holds an estimated 393 million barrels of oil and 1.7 trillion cubic feet of natural gas. Since these figures describe only what can be currently developed, the USGS also released a forecast stating that 3.5 billion barrels of oil may be recoverable from the basin in the future. A majority of this future oil is projected to come out of the Monterey Formation which is an emerging shale play that stretches across much of California. In the end, this may mean that some of the oil rig jobs in Long Beach will have to relocate a few miles north over the coming years. Haynesville/Bossier/Shreveport Shale Found stretching from Eastern Texas through Western Louisiana, the Haynesville Shale formation is likely to be the fourth largest natural gas find in the world. Various sources indicate that it holds between 230 and 250 trillion cubic feet of retrievable natural gas in reserve. Located at depths between 10,000 and 14,000 feet below the earth's surface, this is enough natural gas to supply the U.S.'s total domestic demand for over 10 years. As recently as 2008, the Haynesville formation was responsible for creating approximately 32,000 jobs while contributing $4.5 billion in revenue to the state of Louisiana. With numbers like this it is hard not to be impressed. Montana and North Dakota's Bakken Shale In 1995 the U.S. Geological Survey reported that there was an estimated 151 million barrels of oil in the Bakken Shale Formation spanning from Montana to North Dakota. Over a decade later in 2007, roughly 105 million barrels of oil had been produced. With this, some outsiders thought that the area was about to experience steep production declines. To their surprise, recent survey estimates put the Bakken Formation's oil reserves between 3 and 4 billion barrels. Ultimately, this makes the Bakken Formation the largest single find in the lower 48 states, even ahead of the sizable Austin Chalk Formation of Texas and Louisiana. As a result, oil rig jobs in North Dakota and the Williston Basin are now booming. Marcellus Shale Formation Currently the Marcellus Shale holds the largest natural gas resource in the North East. Found under much of New York, Pennsylvania, and West Virginia, the total amount of recoverable gas in the formation is estimated at 260 trillion cubic feet. Although some researchers say that this number could be much higher in the future, current estimates are thought to be most accurate based on available data. To put this into perspective, 260 trillion cubic feet of natural gas is enough to meet roughly 12 years of U.S. consumer demand. Since statistical information about the resource is still being gathered, the number of Mud Logging Jobs in the area is fast on the rise. North Eastern Utica Shale Deeper than the Marcellus is the Utica Shale Formation which covers a much larger geographical area. In fact, the Utica Shale spans across New York, Pennsylvania, Ohio, and both Virginias. Although it is currently under production, this formation is estimated to hold well over 60 trillion cubic feet of natural gas in reserve. With major producers rushing to stake claims, the land lease market in Ohio has been particularly active. Even local drilling fluids companies are starting to gear up for the coming wave of drilling activity. Ultimately, when considering local employment options it should be noted that there will likely be some great opportunities for those wanting Mud Engineer Jobs. South Alaskan Oil and Gas The last USGS assessment of Southern Alaska's oil and gas in was in 1995. At that time, it was estimated that roughly 2 trillion cubic feet of natural gas was in reserve and could be recovered at some point in the future. Since then, advancements in surveying technology and recovery techniques have given us the ability to re-evaluate the region's resources. Now, Southern Alaska's Cook Inlet Region alone has an estimated 19 trillion cubic feet of gas and an additional 600 million barrels of oil. Even though a majority of Alaskan oil is produced out of the Prudhoe Bay area, this new find should increase the total number of future oil rig jobs in Alaska. 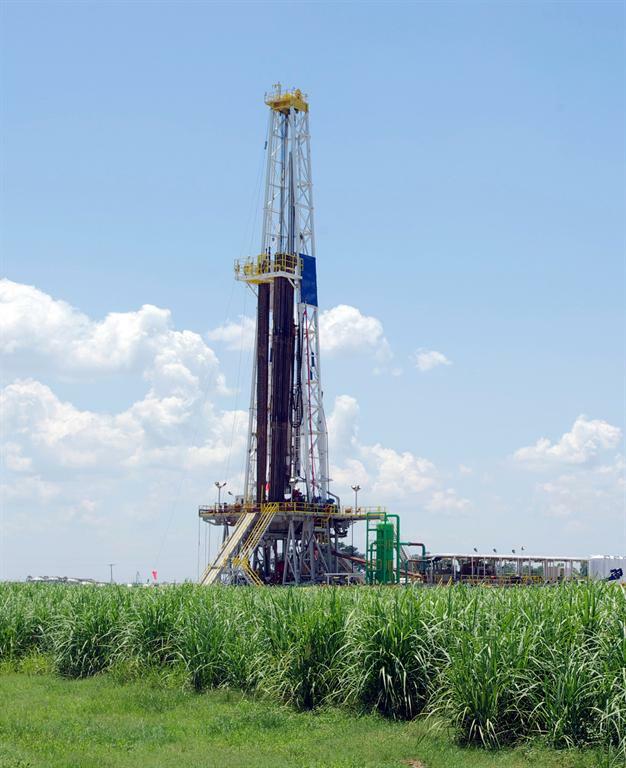 South Texas and the Eagle Ford Shale Spread over an area roughly 400 miles long and 50 miles wide, South Texas' Eagle Ford Shale is starting to draw a good deal of attention. Not only is the formation rich in natural gas, but it also has an estimated 3 billion barrels of oil in reserve. According to local public officials, in 2010 the region produced approximately $2.9 billion worth of oil and provided for 12,600 full time jobs. Current estimates are that by the year 2020 the annual economic output of the region will reach $21.5 billion while supporting approximately 68,000 oil rig jobs. It truly is no mystery why all the major oil and gas producers are starting to take an active interest in the area. Texas Barnett Shale Found in the Fort Worth basin, the Barnett Shale is responsible for over $65 billion of economic activity. Within the past 10 years alone, production of the Basin's 30 trillion cubic feet of natural gas has lead to the creation of over 100,000 jobs. According to Fort Worth's Chamber of Commerce, salaries in the region are about 8.5% higher than they would have been without the Barnett Shale. Further, between the years of 2001 and 2011, local tax receipts showed an estimated $5.3 billion in revenue for the state due to oil and gas drilling in the area. If this isn't a proof positive of how local economies can benefit from oil and gas development, then what is? The Tuscaloosa Marine Shale of Louisiana Over a decade ago the Tuscaloosa Marine Shale was reported to have approximately 7 billion barrels of oil in reserve. Up until now, widespread development of the formation had been impractical. With recent developments in fracking technology, efforts have again turned toward producing this extensive resource. Since the formation spreads from the east border of Louisiana into the western part of Mississippi, many of the regions' communities have eagerly anticipated the arrival of new drilling operations. Not only is this good news for the American consumer, but local economies in both Louisiana and Mississippi will greatly benefit from added jobs and revenues. To the eyes of an outsider, an offshore oil production facility looks like a modern day medieval castle. It is gigantic, complicated, and most of all misunderstood. Many would even say that an offshore drilling platform has only one essential purpose; to produce oil and natural gas. 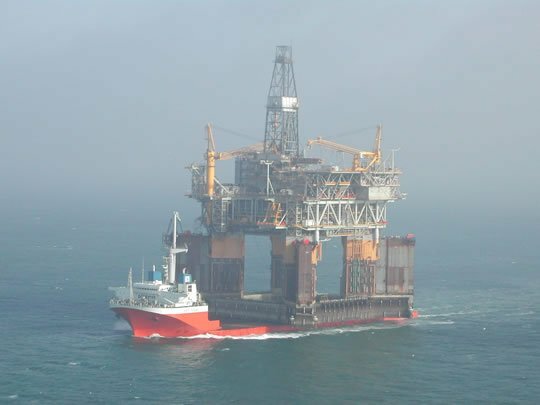 However, current offshore rigs are much more than just energy producing giants. They are models of self-sufficiency and overall sustainability. These "floating cities" are typically able to produce their own energy while at the same time provide for their own water. More than that, the workers who live on offshore drilling platforms have sacrificed greatly in order to meet our energy demands. To understand the many ways that offshore drilling benefits our society we will start by examining what life is like aboard an offshore rig. Living and working offshore is no easy task. Work days are long and weeks spent out at sea can easily make workers long for loved ones at home. To compensate for this, offshore employees are frequently provided with the highest of living conditions. Private quarters are roomy and are usually equipped with the latest forms of technological entertainment. Many rooms even have private bathrooms and showers as well. Don't want to be stuck in a room all day? No problem. Rigs are provided with full scale cafeterias that have all-you-can eat portions available 24 hours a day. Because most rigs operate on a never ending cycle, this is simply a must have condition. Other basic amenities include a maid service for cleaning and around the clock laundry service. Even the best hotels cannot offer that type of on the spot service. So now that clothes are clean, room is no longer messy, and the belly is full, what to do next? Rigs have to have forms of entertainment and recreation for employees. Small gyms are very common aboard rigs. The gym serves many purposes. It keeps the mind and body healthy which in turns keeps the employee working hard and effectively. Too tired to work out after a hard day? The lounge is the place for you. Big screen televisions and couches are the hub for social interaction within the rig. Think of the lounge like you would a college dorm lobby. Ping-Pong tables, pool tables, and a relaxed atmosphere. One often overlooked aspect of the oil rig is the attraction of wildlife. Migratory birds regularly use oil rigs to rest their bodies after long treks. Small fish and plant life are attracted to the rig because of the safety and artificial reef-like environment. With small fish come bigger fish and with bigger fish come sport fishermen. It is not uncommon for oil rig employees, given favorable conditions, to use their time off to fish off the side of an oil rig. How does all this translate into a functional self-sustaining facility? The answer again is the people. To compare an oil rig to an ant colony is a shrewd yet easy comparison. Like an ant colony there are different jobs and functions that need to be handled by professionals. An oil rig will employ a number of different experts in fields such as management, production, safety, and even catering. The number of jobs aboard an oil rig are almost too many to count. Craftsmen such as welders, electricians, and mechanics are what most people would expect aboard an oil rig. However, there are also scientists, engineers, and medical professionals as well. All the elements of an oil rig work together to make a self-sufficient society. Unemployment is a large issue affecting the United States today and offshore oil rigs are part of the solution to this problem. As mentioned above, an oil rig needs employees from all forms of professions. The number of individuals needed to build and maintain an oil rig is staggering. Offshore drilling may be controversial in many sectors of America, but one thing is undeniable. Offshore oil rigs create jobs. Interestingly enough, many jobs on the oil rig require no prior work experience. Cooks, maids, laundry attends, and even porters are usually starting out on their first job. In other words, many have the opportunity to show value and worth by working hard and demonstrating their talent in their respected positions. By starting at the bottom of the hierarchy and working hard, an oil rig employee can rise through the ranks to achieve stable and fulfilling careers. But the question remains, how do oil rigs provide a model of self-sufficiency and overall sustainability? As stated above, an oil rigs main function is to produce energy. It is a fact that the United States has to import a majority of its oil from foreign markets. This leaves the United State vulnerable to ever fluctuating global economic conditions. 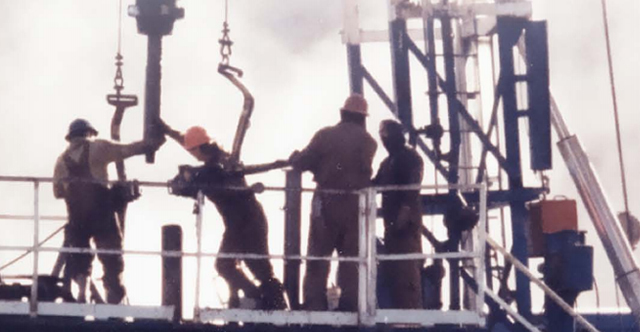 When the oil producing countries raised oil prices in the 1970s it left the United States with an oil and gas shortage which started the debate on the idea of oil self-sufficiency. In order for the United States to become self-sufficient it needs to invest in the construction and maintenance of offshore oil rigs. The oil rig, which produces its own energy, is the perfect model for the United States. Almost everything an oil rig needs it can make. Clearly, an oil rig needs energy to power its infrastructure. The oil that a rig produces is enough not only for the individual rig, but there is a tremendous amount of excess energy that will be used by the average American. Critics may argue about the environmental impact of an oil rig, but the major reason these arguments arise is when there is an unfortunate disaster. There is no doubt that the Deepwater Horizon oil spill in the Gulf of Mexico was a disaster, but it should not affect the entire industry. The argument that the Deepwater Horizon spill should close down all offshore oil drilling is absurd. It was an accident and of course a travesty, however, the closing of offshore drilling will be even more catastrophic. Offshore drilling is an important step in making the United States a more productive and self-sufficient society. The jobs aboard an oil rig are in demand and offer many key benefits such as the pay, the experience gained, and the amenities provided. Companies across the globe are always searching for individuals willing to take a chance at life aboard an oil rig. Just in North America alone there are countless job openings from Vancouver, to Canada, to the Florida Keys. With the continuing development of science and technology there will be a continued advance in the design and implementation of offshore drilling. The already extremely high safety measures will continue to evolve and with time events like the Deepwater Horizon will be even fewer and further between. With less and less accidents there will be less impact on the natural environment around large scale oil rigs and drilling processes. America and the World need to take notice of what a true technological marvel an offshore drilling operation can be. What Sets the Price of Oil? What sets the price of oil? Some may think that this would be an easy question to answer, however the price of oil is dependent on a number of complicated factors. To start, oil is classified as a commodity because it is widely used and traded. This means that its price is determined by large markets where it is exchanged. Since market values are dictated by both supply and demand, oil prices also tend to be based on the perception of its scarcity. Things like political turmoil and natural disasters often increase oil's scarcity and price, even with powerful organizations like OPEC intervening. The following article will assess four of the major factors named above that are most responsible for oil's price in today's modern market. Commodity traders are responsible for bidding on future oil contracts. These contracts are to buy or sell an amount of oil on a future date at a pre-determined price. By establishing agreements about future values, companies can plan for changes in the market which helps stabilize the economy as a whole. But, commodity traders also speculate to make a profit. They can even influence the price of oil to go up or down so that their contracts hold more value when they sell them. Regardless of their motives, all oil traders use the same basic rationale to determine the market's price. They compare OPEC's projected output quote to the actual amount of oil that was produced. If there is going to be a supply decrease, the price gets bid up. However, if the supply of oil increases then the price will drop. After analyzing the projected quota, traders then look to oil reserves. Some countries like the United Stated and Saudi Arabia have extensive oil reserves that can be tapped into to increase the oil supply if the price gets too high. When these countries promise to use some of their reserves, traders will allow the price of oil to drop which helps to stabilize the market. On top of information about oil quotas and reserves, traders use the projected demand for oil as a tool to determine prices. Typically, the demand for oil increases dramatically during the summer months. This information is given to the traders by the Energy Information Agency which is trusted for the accuracy of their data. Travel information regarding vacation driving is also considered and is provided by the AAA. After taking all of this information into account, it is up to the commodities traders to determine oil's end price. As a result of a crisis in an oil producing country, the price of oil often increases dramatically. This is because the traders usually assume that a crisis limit of the supply of oil coming out of that country. A recent example was when Iran was accused of developing nuclear weapons. This caused a spike in oil prices in January 2012 as Iran threatened to close the Straights of Hormuz. Following this threat, the United States said that it would reopen the straight with military force if necessary. During this time, oil's price per barrel fluctuated between $95 and $100. Finally, in February, the price peaked just over $100 per barrel when tensions reached their highest. Back in the spring of 2011, the unrest in Libya, Egypt, and Tunisia also strongly affected the price of oil. During this time the price of oil spiked up to $113 per barrel which became known as the Arab Spring. However, the effects of the Arab Spring lasted into Summer 2011. With revolts eventually leading to the removal of several dictators, commodities traders were understandably worried that the supply of oil would be disrupted. Contrary to their fears, the oil supply was not adversely affected and therefore the price of oil began to drop again. By the middle of June, per-barrel prices fell to under $100 which eased consumer stress as well. Taking these examples into consideration, it is easy to see how world crises can create fluctuations in the price of oil. Any disaster can affect the price of oil if it is severe enough. This is partly due to lowered production and damaged equipment, but commodities traders can still play a surprisingly large role. In fact, traders will bid up the price of oil in anticipation of a coming natural disaster (i.e. hurricane) that is predicted to reduce the amount of oil on the market. If the disaster does not have as large an impact as was predicted, then the price will drop over time. In most cases damage to the industry's production line is very real and the price of oil will rise in an attempt to combat the lower supply. If the drop in supply is severe enough, a country may choose to open up some of its oil reserves in an effort to cut rising prices. One example from 2005 is Hurricane Katrina. In its aftermath, oil prices increased by $3 per barrel. This is because 19% of the United States' oil production was affected by the hurricane. Between Hurricane Katrina and its predecessor, Hurricane Rita, 113 offshore oil and natural gas platforms were destroyed. In addition to the destroyed platforms, 457 pipelines experienced some form of damage. Obviously, this magnitude of damage lead to a severe increase in the price of oil. A smaller incident that still resulted in a price hike was the flooding of the Mississippi River in May 2011. Commodities traders were concerned that the flooding could damage oil refineries so the price was bid up despite the damage not being as severe as expected. In addition to the factors mentioned above, OPEC often plays a very large role in regulating the cost of oil. It stands for Organization of Petroleum Exporting Countries. It is comprised of 12 nations that span the Middle East, Africa, and South America. Together, they account for over 60% of the world's crude oil reserves and over 40% of the world's annual oil production. The official purpose of the organization is to create price stability for the market while providing necessary profits for its members. To achieve these goals, it works to influence oil prices by increasing or limiting supplies. The power of the organization has decreased somewhat since the 1970's due to technological and political changes. However, it is still the only organization that can effect production enough to strongly influence the market price of oil. Most recently, it has been conflicts in the Middle East, natural disasters, and the 2008 financial crisis that have had the largest influence on the cost of oil. The various conflicts that have taken place over the last 10 years have also helped to steadily drive prices up. In the near future the United States may be forced to release some of its crude reserves in an attempt to drive the price of oil back down.